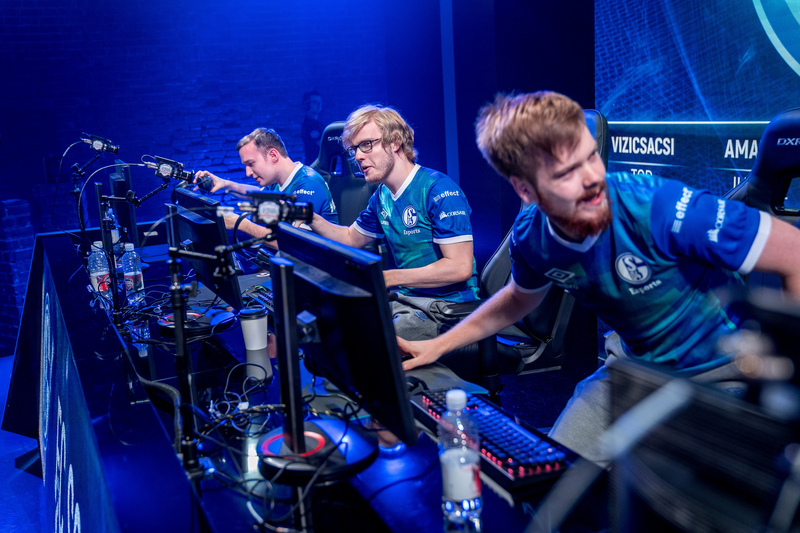 Can Schalke pull off one more victory to win the EU LCS? Schalke have been on a miracle run through the EU playoffs but now face their toughest test: Fnatic. Before last week’s semifinal series between FC Schalke 04 and Team Vitality, we noted how the series would be a tough one for Schalke. Vitality’s early-game strength combined with potential champion pool issues with Schalke jungler Maurice “Amazing” Stückenschneide seemed to portend a Vitality victory. Instead, it was Schalke who took control of the lane phase throughout the series. And Amazing proved he still had some jungle picks up his sleeves, like the Skarner that came out of nowhere to dominate the series. It was a fantastic series through-and-through by the boys in blue. But now they face an even tougher test. Vitality are a strong team who have excelled in the second half of the split, but they clearly lacked the championship pedigree or the experience to make a deep playoff run. On Sunday in the EU Final, Schalke will go up against the team with the best pedigree and most experience: Fnatic. With many coaches and analysts picking the veteran Fnatic side in that series, what can Schalke possibly do to win? We know, this one is easier said than done. Rasmus “Caps” Winther arrived on the LCS stage as a teenager a year ago, but now he’s a bona fide star in the mid lane. 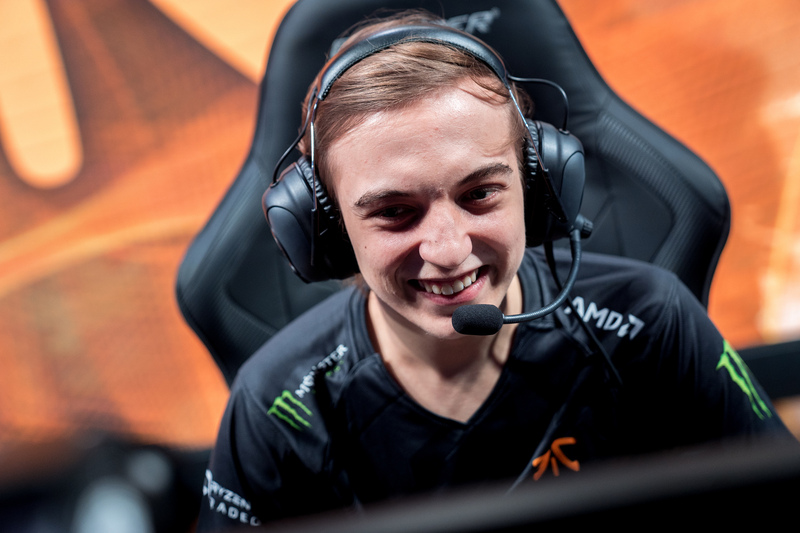 After two years of drafting and playing comps designed to snowball bot laner Martin “Rekkles” Larsson, Fnatic turned the reigns over to Caps this season and already have one European championship to show for it. Schalke have a strong mid laner in Erlend “Nukeduck” Holm—and he can answer Caps in one important area where most teams can’t: champion pool. Both players have been on 18 unique champions this split, and Nukeduck’s ability to counterpick will be important to Schalke’s strategy. But a counterpick is no good if Nukeduck doesn’t hold down lane. He did a great job against Vitality’s Daniele “Jiizuke” di Mauro last week, but struggled to do the same against Splyce mid Yacin “Nisqy” Dincer the week prior. Nisqy has grown by leaps and bounds this year but remains one of the weakest laners in the region. Splyce made up for that with strong jungle support that gave them mid lane control. It’s bad news then for Schalke that Caps and Fnatic jungler Mads “Broxah” Brock-Pedersen have some of the best synergy in-game. Amazing did focus his time camping mid lane on that Skarner pick last week, but he will have to step up his game even more against Caps and Broxah. And there’s another problem with camping mid in this series: it may be exactly what Fnatic want. The problem with investing heavily into one lane against Fnatic is that they can easily beat you somewhere else. Paul “sOAZ” Boyer isn’t a split push fiend in the top lane, but if they sub in talented youngster Gabriël “Bwipo” Rau into that role, he can certainly take over. While Rekkles hasn’t played most of the split, he showed that he can still carry late game fights on crit ADCs in the win over Misfits last week. And again, Bwipo is sitting in the shadows, waiting for his chance to take over that role as well. Overall, Fnatic are pretty comfortable playing a scaling game and forcing you to beat them both with macro and strong teamfighting. Most teams can do one or the other—or because it’s Europe, sometimes neither—but often not both at the same time. Schalke’s own late games have been a bit hectic all year, even in games where they have a lead. They closed cleanly last week against Vitality—a team with their own late game issues—but the quarterfinals series against Splyce was much dicier. Their carries get caught and their calls are split in too many crucial late game moments. To beat Fnatic, Schalke cannot afford late game throws. They need to stick together and stay calm when the pressure is the highest. It should be a tough series for both sides, but especially for Schalke who will head into an uncertain future after the season is over. They need to take hold of their emotions and keep cool heads. If they can, it will cap a miracle playoff run and gain them an automatic spot into Worlds. We’ll find out if they can pull that off when series starts on Sunday at 10am CT.